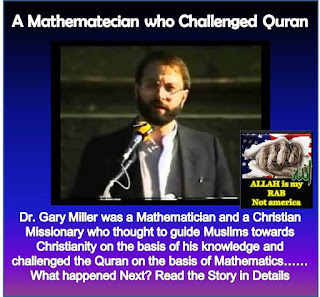 Dr Gary Miller (Now Dr Abdul Ahad) was a very active missionary and was very knowledgeable about the Bible. This man likes mathematics so much, that's why he likes logic. 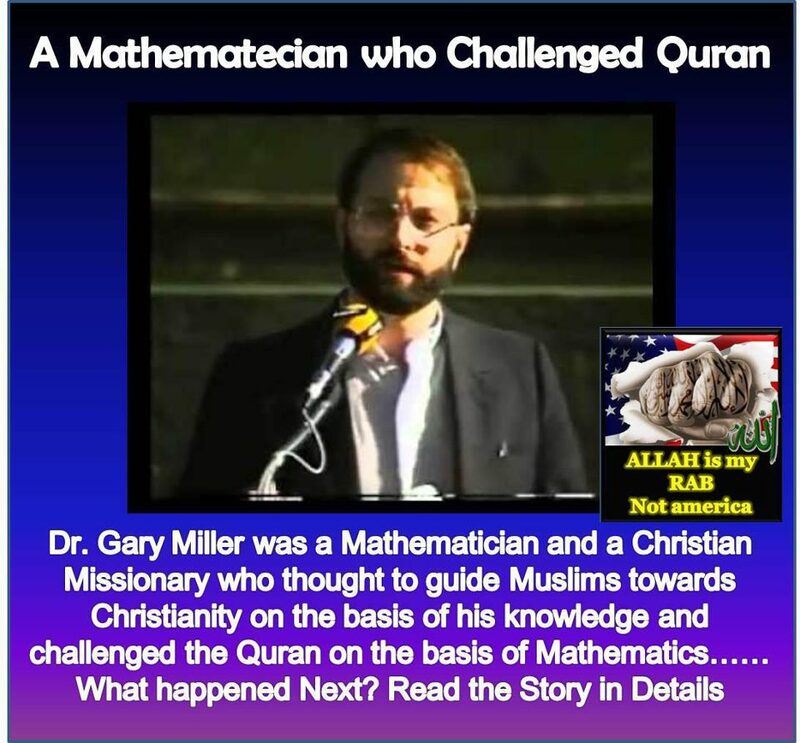 One day, he decided to read the Qur'an to try to find any mistakes that he might take advantage of while inviting Muslims to convert to Christianity. He expected the Qur'an to be an old book written 14 centuries ago, a book that talks about the desert and so on. He was amazed from what he found. “ Do not the Unbelievers see that the heavens and the earth were joined together (as one unit of Creation), before We clove them asunder? We made from water every living thing. Will they not then believe?"